4 Things Your Car Insurance May NOT Cover! Most people enjoy their problem-free holiday without worry; however, it’s estimated that as many as one in six holidays have something go wrong due to trip cancellation, lost baggage, stolen items, car rental damage and more. While some of these mishaps are totally unforeseen, most are predictable or even preventable. 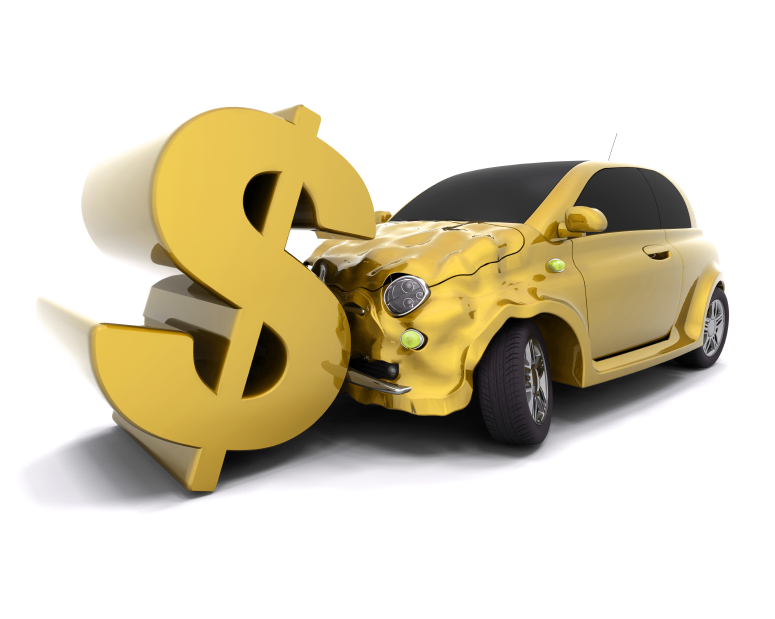 Car accidents are one of those problems that are predictable, and while they’re not always completely preventable, there are certain steps that you can take in order to protect your financial well being before putting the rubber to the road. Conversely, the other option is to not purchase insurance, which can ultimately lead to a hefty bill if your insurance company refuses to pay out on your claim. Standard auto insurance is legally required and important for all drivers, but it will not always cover damages, accidents or theft when renting a car. 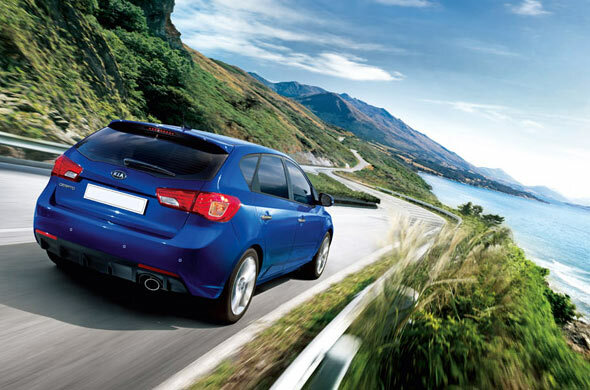 Even if your auto insurance policy covers rental cars both at home and abroad, chances are you’ll still find yourself with a $2,000 to $4,000 bill for certain damages, deductible payments or bills that exceed your coverage limit if you get into an accident. The challenge is that many rental companies don’t inform policyholders of the potential out-of-pocket expenses unless you seek them out or before it’s too late. When travelling outside of the country, it’s important to ensure that you and your family are covered in the event of an accident. In most foreign countries your medical insurance will not be valid and unless you purchase insurance to protect your family you’ll be on the hook for medical emergencies, evacuation and anything else that could potentially occur. For this reason you’ll see many travellers purchase travel insurance or some sort of specific medical coverage for an upcoming trip. It’s also important to have insurance coverage to pay for claims against you from people who may sue after an accident. Personal liability insurance should protect you from bearing the cost of injury and damage litigation in the event that you cause an accident in your rental car. In addition, in countries where auto insurance is non-mandatory or unpopular, you may want to consider purchasing a policy that provides you with coverage if a third party is liable for an accident, but does not have any insurance. What Damage is Not Typically Covered? If you are planning a vacation with a rental car, consider what you’re willing to pay for in the event of damage or an accident. If you accidentally damage your windshield, lights, bumpers, trim, overheads, undercarriage, wheels or tires and you haven’t purchased rental car insurance (aka collision damage waiver) then there’s a good chance you’re paying out of pocket. However, if you’d rather have the peace of mind of paying $7.99 a day and having everything covered versus risking having to pay a deductible, for damage or theft of the car, then car rental damage insurance is probably the best bet for your trip. Car rental damage insurance can increase the likelihood of a smooth vacation and can help keep everyone a little more at ease in case of an accident. To learn more about car rental damage insurance visit Bonzah.com, one of the few companies that offers primary insurance that will reimburse you up to $35,000 in repairs, replacement of the rental car for any reason out of your control and any deductible at a fraction of the cost of major car rental companies. Maybe ANGER is a tool for observing a problem but not for fixing it! 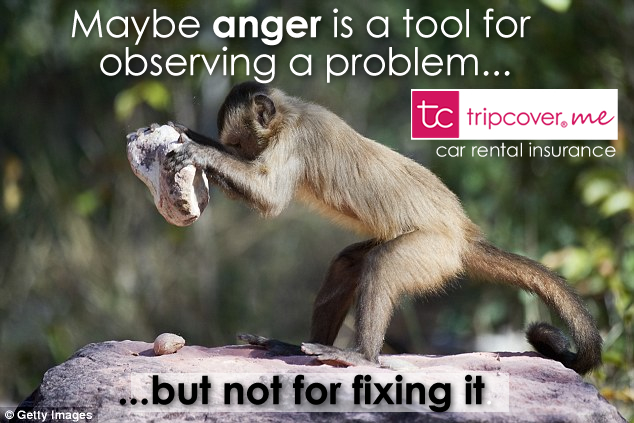 Don’t let the car rental companies get you angry anymore fix the excess insurance problem using Tripcover! 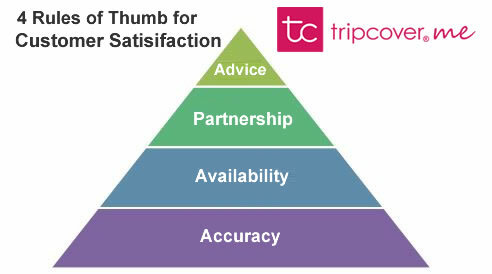 the 4 rules of thumbs for customer satisfaction on P128, the first 2 rules are not going to get you any more than satisfied customers, that is having Accuracy and Availability. But if you really want to get your converts and advocates for your company you are going to need the last 2 rules of thumb which are Partnership and Advice. 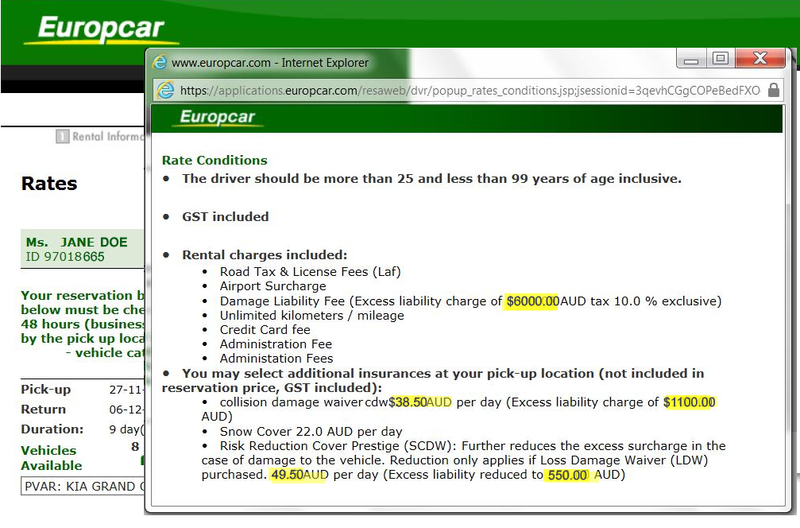 Car Rental Excess Insurance Made…..Too Easy! “Having been offered ‘Total Protection’ by the hire company I decided to look around for a company that wouldn’t double my hire costs. I found Tripcover via my own car insurer and was very pleasantly surprised at the reasonable cost and options and the simplicity of creating the cover I wanted. Hopefully I won’t actually NEED it but I’ll be back on site after my hire period to complete my review”. 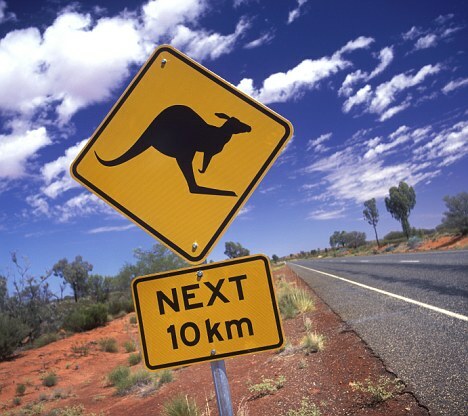 Global insurance companies in Australia have the major car rental giants in their sights as they continue to make inroads into the car rental insurance monopoly or Collision Damage Waiver (CDW) as it is called in the industry. 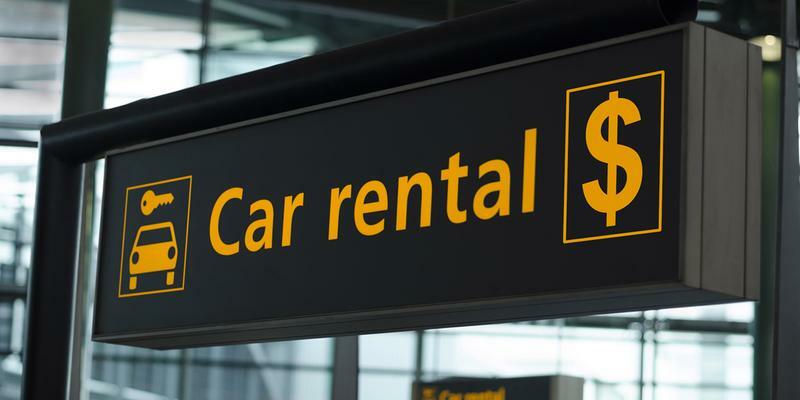 Check this out and see why finding an alternative to the car rental companies’ insurance is a necessity. If you have ever rented a car in Australia or New Zealand you will notice the sinking feeling you get while at the rental desk. We have been in the car rental industry for over 15 years and the one thing that we found that the customer hated is dealing with the insurance. That can be more than the rental itself! reduces down to $5.61 over a 15 day rental.